Win Invites to THE RAMP's PFW Show! Yuuup, it's that time of the year again!!! Next week, fashionistas from all over the metro will once again flock to SMX to watch and support their favorite brands and designers showcase their upcoming Holiday collections! 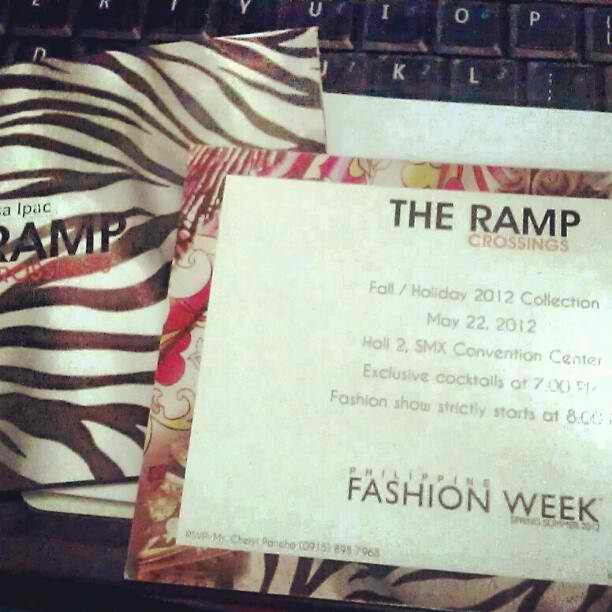 :) I just got my invite today for THE RAMP show and I am ecstatic. I've seen behind the scene photos on twitter and I loved what I saw! Even the invitation is so chic. Good news is, some of you could watch it too! :) Five (5) winners will win 2 invites to the show. 2.) Subscribe or Signup to The Ramp's newsletter. 3. Like their FACEBOOK & TWITTER page. 4. Leave your name, your email and your companion's name below. Joined this!!! :D Would love to watch The Ramp's PFW Show!